There is always a constant need to entertain the children, specially during the weekend when they are home from school. The hardest part for parents is to have enough ideas to keep them entertained a whole day. Children tend to get distracted after a couple minutes, so they start seeking for activities that will stimulate their mind. Taking the opportunity that this weekend is Easter, Legacy Academy in Frisco has separated a couple of easy activities that could entertain your child and the whole family while celebrating this holiday! The simplest thing to do is host an egg hunt. Invite your child’s friends and family, and decide where you will host it. 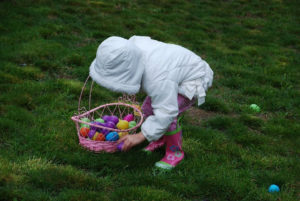 Buy a big bag of plastic eggs, fill them with treats, and spread them out in your front yard, back yard, or a park near you. Are there any potato sacks or pillowcases at home? Mark where the finish line will be and race with your kids! It’s recommended to do it on grass, that way no one gets hurt. Does your child like thrilling games? Play the egg toss with them. Grab a partner and stand on opposite sides of one another. Throw the egg back and forth, stepping back every time the egg is tossed. See how long you can go without dropping the egg on the floor. Don’t let is get messy! If they get bored with the outdoor activities, they can always relax inside and use their creativity! 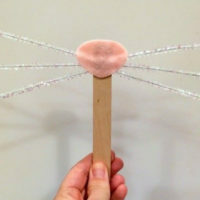 Allow them to play around with cotton, popsicle sticks, pipe cleaners, colorful paper, disposable plates, etc. 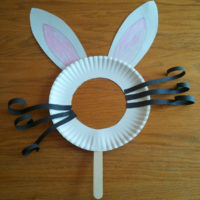 and help them constructing their own bunny mask. Legacy Academy in Frisco wishes everyone a Happy Easter!